Add a second license plate bracket to your camper, motor home or travel trailer and we can do your custom callsign license plate. 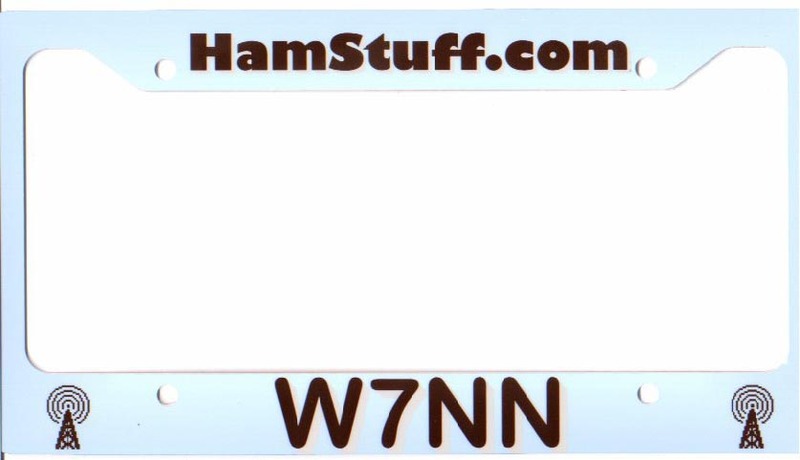 The price on the RV License Plates is $12.00 each plus $5.00 s/h for one or two, and we can ship the next business day! Click on any thumbnail for the full size pictures. These frames are made from the same tough plastic we use for our famous call sign badges. We can use your club logo, or any graphic you see on our site. 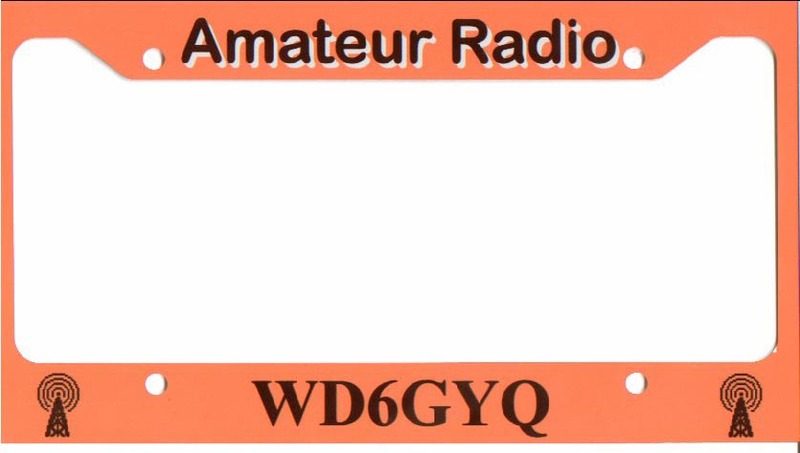 Use your callsign on the frames for your second car, use the frequency of your repeater, or just tell us what you need. License plate frames are $12.00 each, or two identical frames for $20.00 on the same order. S/H is $4.50 for any reasonable quantity on the same order.